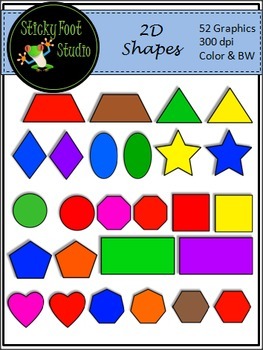 This set of 2D Shapes Clip Art includes all of the graphics shown in the preview thumbnails. There are 52 graphics in all. 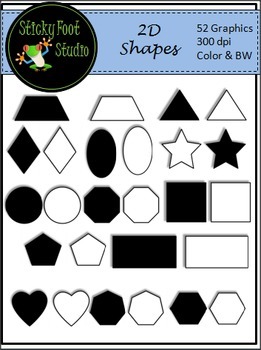 The graphics are high quality transparent PNG files.